One of the major conundrums all Racers must face is what kind of weapons would make their car the most dangerous and powerful car in all of Eat My Dust, a car that would help either the Dragons or the Scorpions win once and for all. There is a debate between the power of the weapon versus the speed the weapon can repeatedly fire. A powerful weapon, such as one that inflicts 50 damage, is a weapon that does not require as much ammo and can dispatch distance enemies with ease. The best weapon is the weapon that you only have to fire once, as it has been said. However, most of these powerful weapons have a trade-off: it can take one to two seconds for the weapon to cool down before the next shot. During that time, an enemy Racer or one of the Zombies can attack your car and kill the Racer while they are wasting precious battle seconds for their weapon to cool down. While the best kind of weapon is the one you only have to fire once, that does not always work if the Racer does not even have a chance to fire the weapon. On the other side of things is the speedy weapon, one that can partake in rapid fire. With cool down times half of what the more powerful weapons have, Racers can launch a full-out attack on enemies and can win before the enemy even has a chance to wait for their powerful weapon to reload. It also gives more flexibility to the Racer if they happen to miss their target. 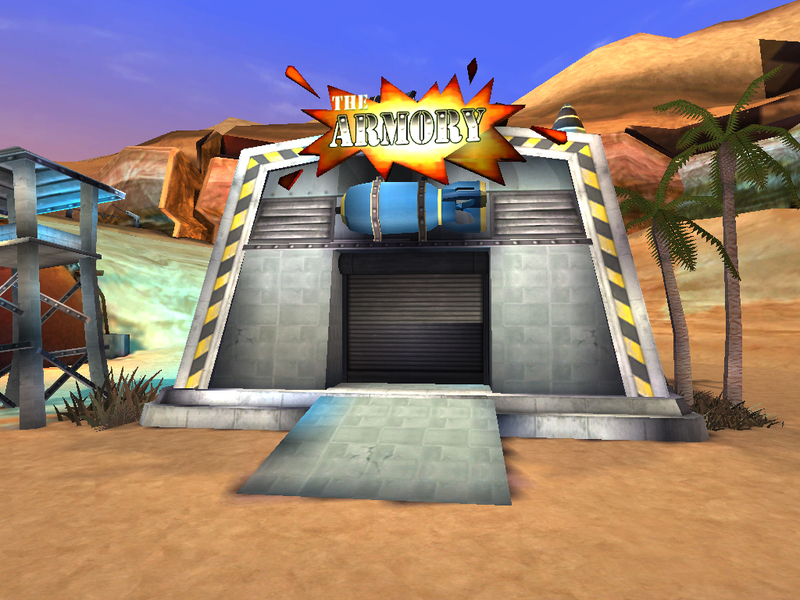 However, a speedy weapon’s use is also contingent on a large stash of ammo; while a Racer may overwhelm their enemy with the rapidity of fire, it also costs a lot more coins to keep the ammo stocked and ready. Of course, the speed versus power debate can be resolved by buying a higher tier weapon, such as the Tier 4 Shark Missile or a Tier 3 Lightning Gun, which can inflict both 50 damage and have a reload time of only half of a second. Of course, these higher power weapons can only be bought with a higher rank or with Turbo Bucks, so be sure to keep playing Eat My Dust. Barring a super-powered high-tier weapon, which kind of weapon do you prefer: the powerful weapon or the speedy weapon? NASCAR stands for the National Association of Stock Car Auto Racing, and is one of the biggest car racing organizations in the world. NASCAR organizes such events such as the Sprint Cup series, the Nationwide Series, and the Camping World Truck Series. The Sprint Cup is the most prestigious of the three, and the one most people think of when they think of NASCAR. The major races in the Sprint Cup are the Daytona 500, the Aaron’s 499, and the Coca-Cola 600. If a driver wins all three of those races, they are considered a Triple Crown winner, as those are the “major” races in the Sprint Cup series. The Coca-Cola 600, held in Concord, North Carolina, is the longest NASCAR race at over 600 miles long. The Aaron’s 499, held in Talladega, Alabama, is known as the fastest NASCAR race. The Daytona 500, held in Daytona Beach, Florida, is considered the most prestigious of the NASCAR races, and one of the most historic. NASCAR essentially got its start in Daytona Beach, with informal car races held there in the early twentieth century. Some of the top drivers today are Jimmie Johnson, Jeff Gordon, Dale Earnhardt Jr. and Danica Patrick. Jimmie Johnson, who drives the No. 48 car, is the only NASCAR driver to ever win five Sprint Cup championships in a row. He is not only considered one of the top drivers, but one of the top athletes in the world due to his success racing stock cars. Jeff Gordon is one of the most famous NASCAR drivers of all time. He has the third most wins out of any NASCAR driver ever. His team is nicknamed the “Rainbow Warriors” because of the distinctive rainbow color scheme on the car and suit. Dale Earnhardt Jr. is one of the most popular NASCAR drivers, winning the Most Popular Driver Award ten times in a row. Earnhardt’s father, Dale Earnhardt, was one of the greatest NASCAR drivers of all time before he met his untimely end during the final lap of the 2001 Daytona 500. Danica Patrick was originally an IndyCar driver, switching over to NASCAR in 2011. Not only was Patrick the first woman to win an Indy car race, but she also has the best finish by a woman in a NASCAR top-circuit race, as well as the first woman to win a pole position and the first woman to lead a lap at the 500. Due to her success as a woman in a dominantly male sport, Danica Patrick is one of the most well-known drivers in the world. NASCAR is one of the most popular sporting events in the United States, drawing the biggest crowds and some of the biggest television audiences. Do you or your family watch NASCAR?